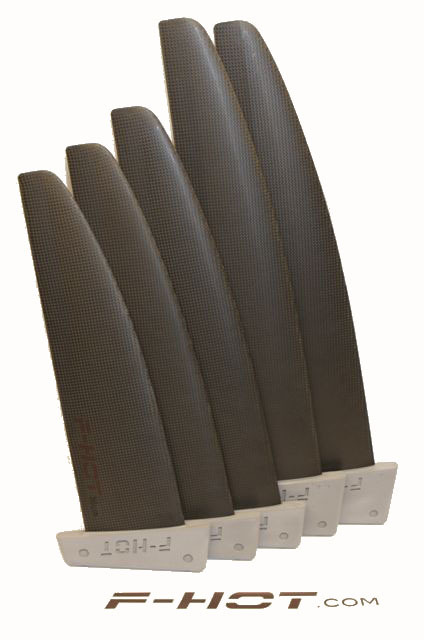 F-Hot have been manufacturing fins for over 20 years. 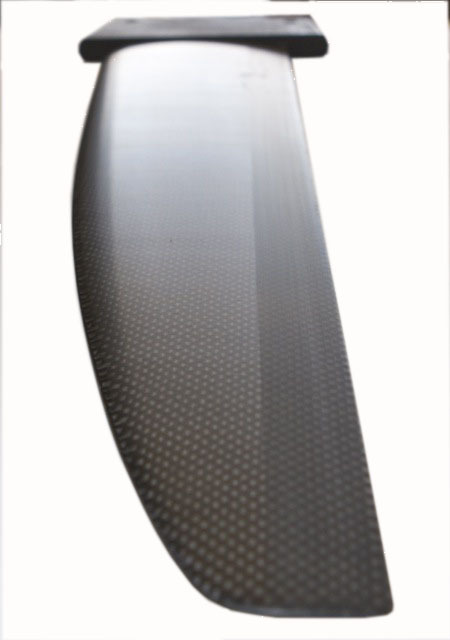 Using Carbon composite moulding process the resulting fins are much lighter and more able to control the flex and twist than their GIO counter parts. Using thinner foil sections and still maintaining high lift creating less drag and more speed. All fins are hand made and hand finished to ensure uncompromising quality. 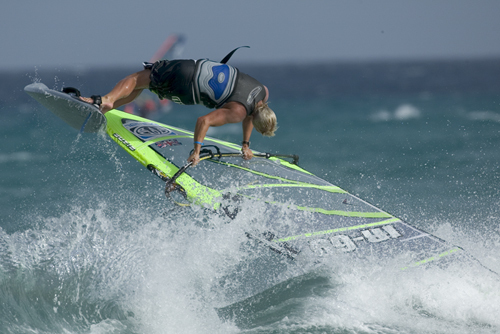 The result is a high quality lightweight fin with World leading performance. When travelling at 40+knots, you need total faith in your equipment particularly you fin. F-hot can give you that convedence with race proven designs. With maticulas attention to detail in hand finishing each fin you will have the best you can buy. To aid the design of the Formula Racing fins, a Finite Element model of the 70cm fins was created. This improved our understanding of the structural behavior of the fin under hydrodynamic pressure loads during sailing. 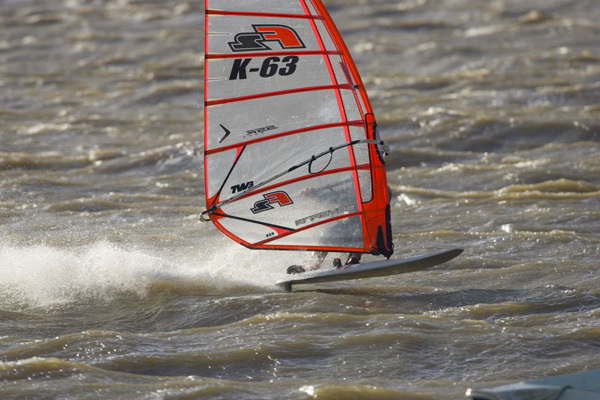 Due to the complex nature of the fin's structure with its stiffeners, plies of carbon and glass at various orientations, it would be difficult to predict the twist and flexure of the fin using standard hand calculations. The finite element model allows the user to easily modify the composite lay up of the fin to achieve the desired structural characteristics. The animations on this page illustrate the flexure of the fin with a simplified stress fringe superimposed for the leeward and windward surfaces. The warmer colors(red, orange etc) indicate the peak stress regions, and the cooler colours(blue, white etc) indicate the peak compressive stress regions. The results indicate that the fin is very much over strength under normal static loading but this is important because repeated load cycles weaken fins due to fatigue. *Finite Element methods are widely used in most of the leading engineering disciplines such as in the Aerospace, Automotive, Civil industries, etc. Complex structures are represented by a series of simpler shapes called finite elements. Using theoretical energy methods the stiffness and other properties of the finite element can be obtained, and then by considering equilibrium and compatibility along the inter-element boundaries, the stiffness and other properties of the entire structure can be obtained.